Whether you have been a patient for many years here, or you just found us on the internet, we hope that you find our website informative. Our goal is always to provide excellent dentistry in a caring and comfortable environment. Your comfort during treatment is our number one priority. If there is anything we can do to make your visit more pleasant, please let us know. Please also check out our Facebook page to see the fun stuff going on in the office. Thanks again for taking the time to check out our website! Early morning appointments and evening appointments available for your convenience. Friday: Select Fridays appointments are available between 9am - 3pm. 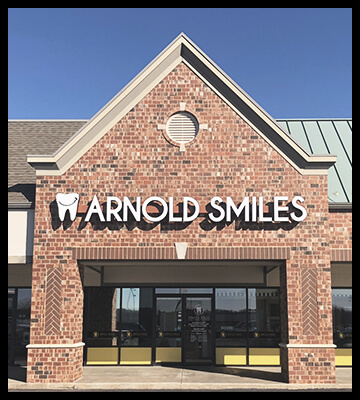 *Arnold Smiles, LLC is a general dentistry practice. Bleaching and cosmetic dentistry are non-specialty interest areas and require no specific educational training to advertise these services.